Artite: Your map plot was far too big, however when an expansion comes available for you, of course you may expand. Ninth Haven: If you could specify a capital at some point, then i'll amend it. Both: Neither specified a capital so they've been randomly placed. Let me know if you want them moved. 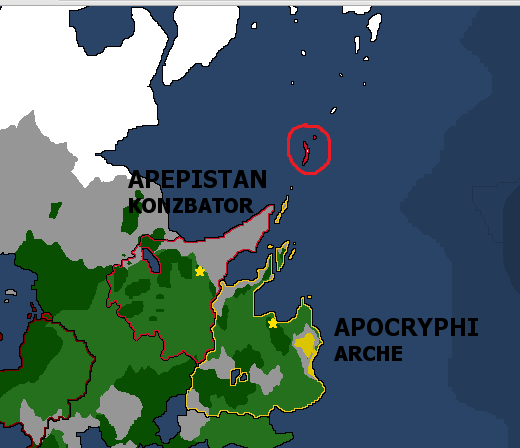 I officially hand the islands marked within a red circle over to the Holy Empire of Artite. 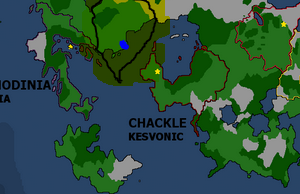 Duly noted, as is the previous submission of territories from Ebsotz to Chackle. Hello, I would like to apply in atlas continent. Noted, will be registered in next update. But before then could I please have a location and name for your capital! Your claim will need to be sized down a little, but your first expansion is available a month after membership! @Apocryphi wrote: Noted, will be registered in next update. But before then could I please have a location and name for your capital! Thats perfectly fine, just place it in that general area! Thanks! Actually if you havent done anything imma switch up where I am out, and spread out so Im not in a condensed area. If you could modify and make we in the above (the highlighted region first and the blue circle is where I'll expand later. My capital will be on the smaller island. Nothing wrong with condensed areas! Makes politics on Atlas more exciting. There's been a great number of changes. I've also toyed around with the environment in North Atlas. Let me know what you all think. My capitals name is Veda City. SPECIAL NOTE - ARTITE HAS REACHED ITS FIRST EXPANSION, HURRAH. HOWEVER STILL PENDING NEWS UPDATE. 1. What is the brown stuff on the map? 2. Can you please add a Prime Meridian? I just feel it being...nice. Its to define between pure deserts and arid hot lands. So brown is just mostly arid wasteland, just with more chance of life than a desert. I'll do that next update. Please change my nation name to St. Nikolo, and my capital to "Valkenburg"
For those of you who have been here for Three months, your expansion claims can be submitted Tomorrow. Anyone encroaching on the 1-month date please make sure to submit your claim as well. This is my expansion claim in advance. 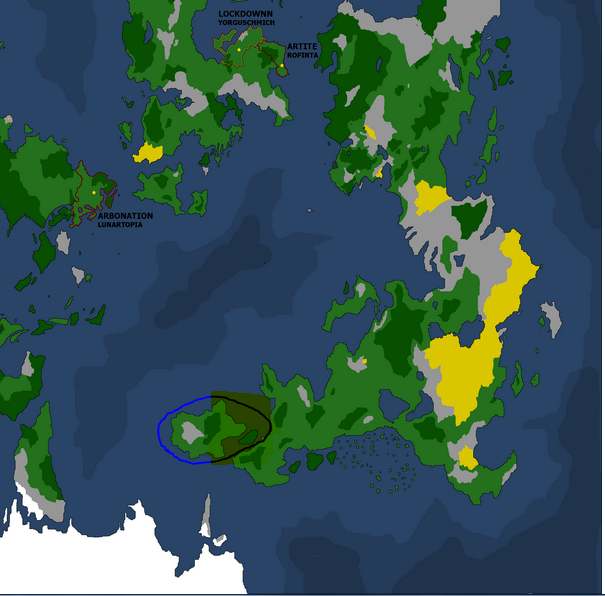 If possible, I'd like to claim that small island to the southeast, and name it Sakalin, with the capital city Tarjankhan. Sorry for the confusion, expansions are not until next month confirmed by the checking of our joining dates. I apologize for the false hype. People can post premature claims, that version just won't be uploaded until next month lol.